Gap shares plunged Thursday, one day after the company announced that its CEO would resign. Glenn Murphy, who became CEO in 2007, will retire at the end of Gap's fiscal year in February, the company said. The apparel store chain also said sales had been disappointing and warned that its flagship brand, the Gap, will continue to struggle in the current quarter. Gap (GPS) stock fell 12% in early trading. In a conference call with analysts, Murphy said he discussed Gap's long-term plans with the company's board and that they agreed that a new CEO would be better suited to implementing those plans. "These conversations are always rooted in your ability to make personal commitments," said Murphy. "And I'm just not able to make a personal commitment to execute this next round of long range strategy and planning for Gap Inc."
Murphy added that some board members urged him to stay, which he found flattering. But he said Art Peck, the executive who currently runs Gap's digital operations and selected to replace him, is well positioned to lead the company forward. 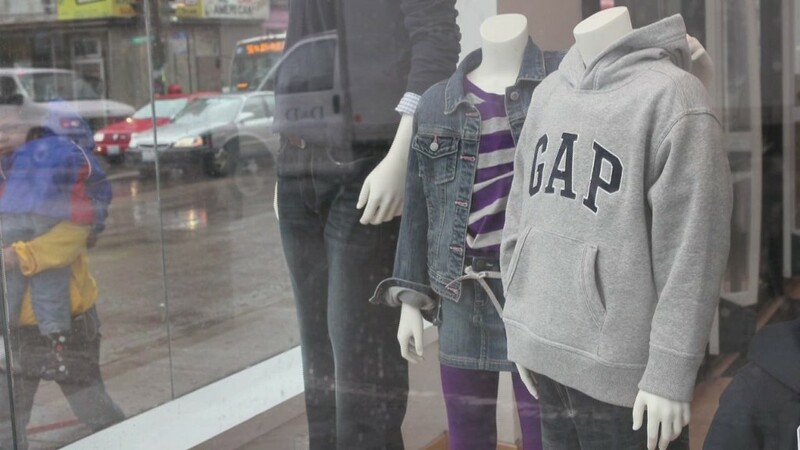 The management change comes as Gap sales have slowed. Gap sales globally were down 3% in September, though sales at its other brands -- Old Navy and Banana Republic -- were positive.